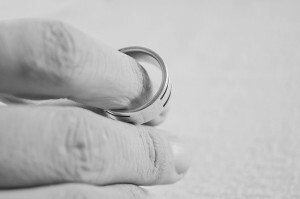 Selling a house in divorce in Tucson, AZ adds to the often stressful, frustrating experience of even the best divorces. When the two parties own real estate in common and are selling a house in divorce in Tucson, AZ whether it’s a marital home, a commercial business, or some other type of mutually-owned property, selling property as part of a divorce is one of the biggest worries most divorcing couples face – after the impact of the split on kids and finances. If you are going through a split, the following tips can help you understand what to expect when selling a house in divorce in Tucson, AZ. Divorcing couples who are selling a house in divorce in Tucson need to agree on a listing price for the property. They also must agree on a schedule for showing the home and determine who is going to pay what costs involved with the sale. In some instances, selling a Tucson, AZ house during a divorce at a loss is the only option if the divorce is disputed or if one of the parties wants to stay in the home temporarily after the other party moves out. NOTE: Karl Buys Houses/Russ Lyon Sotheby's International specializes in helping homeowners out of sticky situations just like this. We can make you a fair all-cash offer on your house that you and your spouse can consider, so you both can move on more quickly and not have the house being a burden for months and months down the road. Reach out to us by calling us at 520-403-6227 or submit your info on this website. Call Karl Buys Houses/Russ Lyon Sotheby's International at 520-403-6227 to find out the best strategies for selling your house in divorce in Tucson, AZ. If the divorcing couple has built up equity in the Tucson, AZ home and one party wants to remain in the home after the divorce, one option is to refinance the home in the name of the person who will be living there, rather than selling the home during the divorce. For example, if a divorcing couple owns a home they bought for $80,000 and there is still $20,000 left on the mortgage, both parties would be entitled to $30,000 in equity when selling the house during the divorce in Tucson, AZ. The couple could then secure a $50,000 cash-out refinancing in the inhabiting spouse’s name. If the party staying in the house can’t qualify for a loan in this amount on their own, the refinancing could be obtained in both parties’ names. After the divorce, the loan can be restructured – as long as they can document 12 months of cancelled mortgage checks from the inhabiting spouse’s account – and the party who has moved out of the home can then fall off both the loan and the title after selling a house in divorce. Call us 520-403-6227 to learn more about how this process works. The worst-case scenario when selling the house while in a divorce in Tucson is when one party wants to keep the home and the other wants to sell, or if both want to stay. At that point, the court may have to intervene. This is likely to leave both parties unhappy and the legal fees will often eat up any of the profits from selling a home in divorce in Tucson, AZ. Want to learn more about selling a house in divorce in Tucson, AZ? At Karl Buys Houses/Russ Lyon Sotheby's International we buy houses in and around Tucson and can make you a fair all cash offer on your house. Give me a try. There is no obligation, no hassle, no pressure.